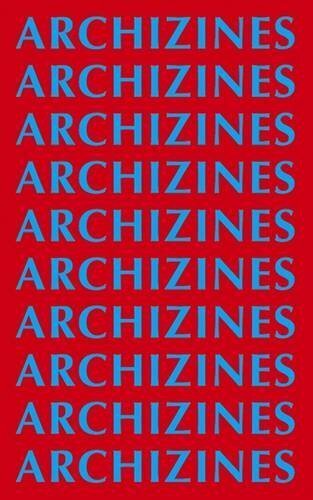 From handmade fanzines and print-on-demand news-letters to magazines and student journals, ARCHIZINES celebrates the recent resurgence of alternative and independent architectural publishing. Edited by Elias Redstone, ARCHIZINES showcases 60 new publications from over 20 countries alongside critical texts from Pedro Gadanho (Beyond), Iker Gil (MAS Context), Adam Murray (Preston is my Paris), Rob Wilson (Block), Mimi Zeiger (Maximum Maxim MMX / loudpaper) and Matthew Clarke, Ang Li & Matthew Storrie (PIDGIN) that explore the relationship between architecture and publishing today. 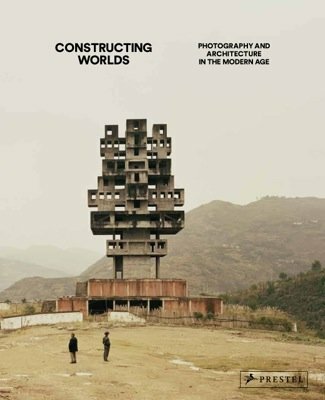 Themes addressed include the role of publishing in academia and architectural practice, and the representation of architecture in fictional writing, photography, magazines and fanzine culture. Featured publications: America Deserta Revisted, another pamphlet, Apartamento, Archinect News Digest, Beyond, Block, Bracket, Camenzind, Candide, Civic City Cahier, Club Donny, Conditions, Cornell Journal of Architecture, Criticat, dérive, Ein Magazin über Orte, engawa, Evil People in Modern Homes in Popular Films, face b, Foreign Architects Switzerland, Friendly Fire, Generalist, Horizonte, Junk Jet, Kerb, Le Journal Spéciale’Z, Log, MAP, Mark, MAS Context, matzine, Maximum Maxim MMX, Megawords, The Modernist, mono.kultur, Monu, no now, OASE, One:Twelve, Pablo Internacional, P.E.A.R., PIDGIN, PIN-UP, PLAT, PLOT, Preston is my Paris, Public Library, San Rocco, Scapegoat, scopio, SOILED, SPAM_mag, Thresholds, TOO MUCH, Touching on Architecture, UP, UR, VOLUME, The Weather Ring, What About It? Text: Redstone Elias. cm 13,5×21,5; pp. 152; COL; paperback. Publisher: Bedford Press, London, 2011.